Building on the uniqueness of the Lumis chassis, SIM2’s Lumis 3D-S offers commercial 3D projector solutions in a compact, stylish, bright projector. SIM2, the Italian manufacturer whose high performance projectors have a global reputation, have announced the launch of the first of their single projector solutions for 3D, the Lumis 3D-S. The Lumis 3D-S harnesses the brightness and speed of 3-chip DLP projection in the uniquely compact Lumis chassis. The Lumis 3D-S is the only consumer projector to use triple flash technology in conjunction with the active shutter 3D delivery system. Triple flash is a system developed for, and used in, commercial 3D cinemas. Triple flash eliminates the flicker and ghosting normally associated with active shutter 3D whilst giving smoother motion. This makes active shutter 3D viewing much more relaxing on the eye, just like at commercial cinemas. Triple flash means that for 24 fps material, each eye is presented with 3 ‘flashes’ of each frame, giving an overall frame rate of 144fps. Other technologies are limited to refresh rates up to 120fps giving them 2 options. The first option is to refresh each eye twice, giving a refresh rate of 96fps, but this can be detected as flicker by some people. The second option is to operate at the maximum refresh rate of 120fps, but this can introduce motion judder due to the processing that this requires. Triple flash increases the refresh rate to a level well beyond the normal flicker fusion threshold of humans whilst maintaining smooth motion due to both eyes receiving 3 refreshes per frame. Thus triple flash reduces the incidents of fatigue and nausea that can be associated with active shutter 3D technology. 3-chip DLP is currently the only projection technology that has a fast enough refresh rate to be able to implement triple flash with active shutter 3D technology. But the advantages of the Lumis 3D-S do not stop there. 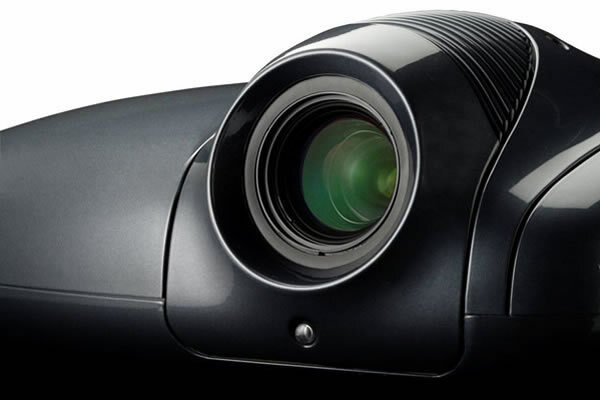 Because the Lumis 3D-S is based on 3-chip DLP technology, it is far more efficient and therefore much brighter than other projector technologies. This makes the 3D images from this projector far punchier and more enjoyable, whilst still maintaining the uniquely compact chassis of the Lumis. Also, by using single projector architecture, it means that this 3D projector system does not require the maintenance and regular calibration that high-end dual projector systems require to avoid differences in lamp characteristics causing artefacts over time. SIM2 are proud to be a founder member of the M-3DI standard for active-shutter 3D to bring about compatibility among 3DTVs, computers, home projectors and cinema projection. The Lumis 3D-S will start to ship with XpanD glasses, and will be compatible with the M-3DI cross-platform active-shutter glasses as soon as they become available. The Lumis 3D-S is optimised for both 2D and 3D viewing, whilst maintaining all the advantages of the Lumis chassis. These include 3 lens options to give a throw range of 1.37 – 3.9:1, vertical lens shift and an enhanced version of Live Colours Calibration software. The combination of triple flash, brightness, compact size, low maintenance and M-3DI compatibility make the Lumis 3D-S unique in the market and the stand-out projector choice for high-end 3D home cinema projection. The Lumis 3D-S will be available in May for an MSRP of £29,995 inc VAT for T1/T2 (£31,995 for T3), including 2 pairs of XpanD active 3D glasses.